Could this be the future for holograms? 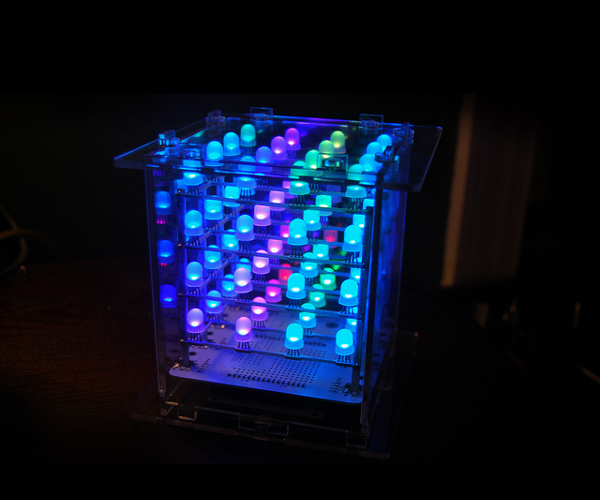 How big and how detailed can these LED cube light displays go? People are taking the basic LED light and creating three dimensional grids with them. Each individual light can be programmed to light up on command – enabling programmers to create animated light displays. 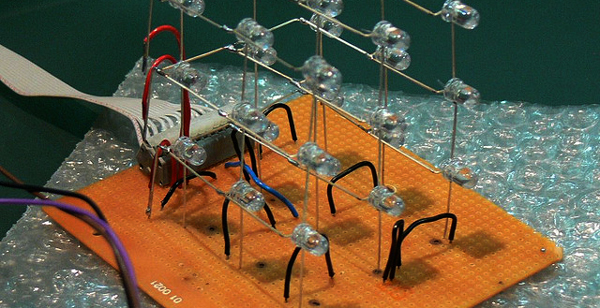 Because the wires that connect the LEDs and create the overall structure are relatively thin, the unit appears transparent – even invisible when the lights are off. In one of our other post we have a video of a 3D LED light show of a lady dancing – the graphic even zooms in and out. A simpler application of 3D LED lights is in creating static sculptures – like of a bird in the photo below. There is a very comprehensive DIY guide on Instructables.com on how to make a led cube 8x8x8 in size – it even goes into the software and how you can create your own animations. This concept of putting lights together to create an LED cube display will probably not be the future of holograms. It is too limiting in creating detailed graphics – if you want to create more detailed graphics, you would need to build a much larger grid of LED lights. Plus there are too many mechanical parts to make it truly holographic.